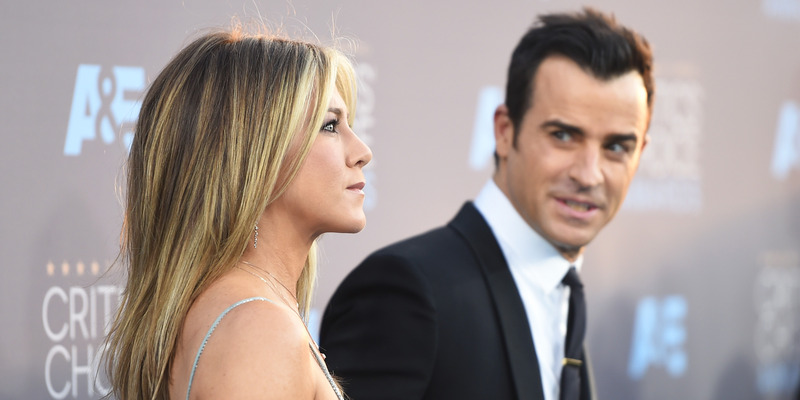 The Census Bureau tracks patterns in marital status by age among Americans. In recent years, older Americans are more likely to have been divorced, separated, or in a second or later marriage than in previous decades, while younger Americans are more likely to be never married or in a first marriage. A lot of people get married. And if things work out, they will stay happily married. But things don’t always work out. Last week, to commemorate Valentine’s Day, we looked at the likelihood of Americans being married at each year of age. Now, with the day celebrating love and romance behind us, we’re turning to the odds of marriages ending. 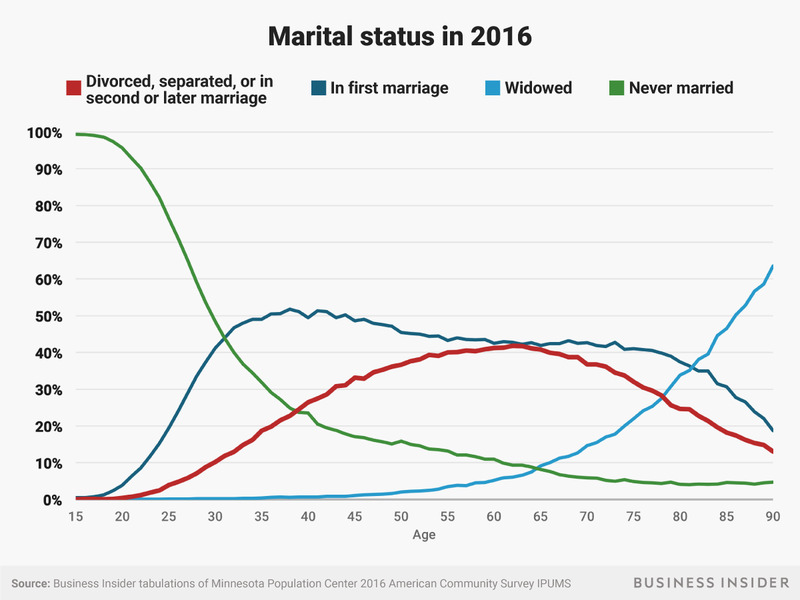 Using individual-level Census data from the Minnesota Population Center’s Integrated Public Microdata Sample project, we took a closer look at different marital outcomes by each year of age in 2016, the latest year for which data is available. 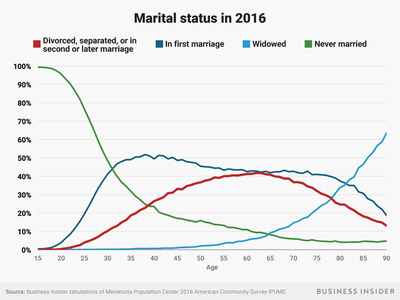 Based on responses to questions about marital status and number of marriages, we found the proportion of the population at each age that had never married, was in a first marriage, was widowed, or was in a situation in which a first marriage had ended. That last group combines people who responded they were divorced, separated from their spouse, or in a second, third, or later marriage. 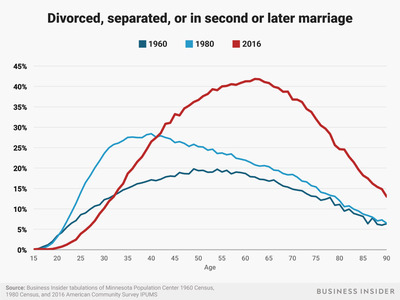 We also compared the 2016 proportions of people who were divorced, separated, or married multiple times to those proportions from earlier decades. The 1960 and 1980 Census long form survey, the predecessor of the American Community Survey, also included questions about marital status and number of marriages. The results were interesting: In 1960 and 1980, a higher proportion of 20-somethings had a marriage end than in 2016. 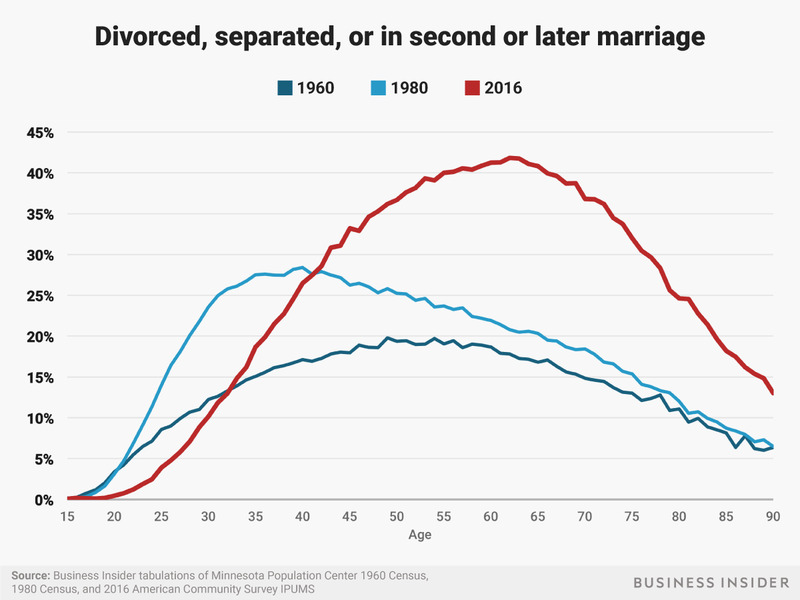 More people were in second or third marriages by their late 20s in 1960 and 1980 than in 2016.